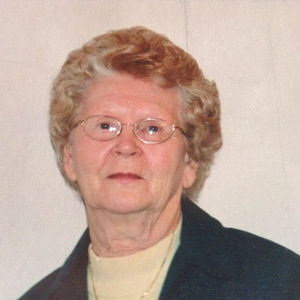 BELTON - Jo Nell Joines, 89, of Belton, died Saturday, January 31, 2015, at her residence. Mrs. Joines was born February 11, 1925, in Belton. She was a homemaker and member of Church of Christ. She was preceded in death by her husband, Vergil Joines in 1982; sister Margaret Gossett; and brothers Marvin Wells and J.L. Wells. Survivors include her son, Roger Mark Joines of Ledyard, CT; daughter Brooksie Steinman of Deleon, FL; grandchildren Dori Steinman, David Steinman, Toby Royce Joines, and Joel Reed Joines; five great-grandchildren; sister Emma June Whitaker Dodson of Henderson; and several nieces and nephews. Funeral services will be Friday, February 6, 2015, at 11:00AM at Tucker Beechmont Funeral Home, with Mr. Paul Moore officiating, assisted by Mr. Matt Carver. Burial in Horton's Chapel Cemetery. Visitation will be Friday after 8:30AM at the funeral home. Online condolences may be made at www.tuckerfuneralhomes.com. The beautiful and interactive Eternal Tribute tells Jo's life story the way it deserves to be told in words, pictures and video. Mrs. Joines & her then boyfriend, Vergil stood up with my parents when they married August 23, 1942, Erma (Stuart) & Bewley Hardison. My Mother said this morning that Jo Nell was her best friend in school. So sorry for your loss. said May God be with all the family at this sad time.